1. 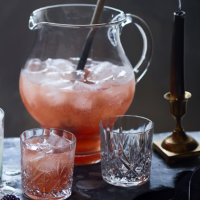 Scale up the ingredients to suit your gathering and put in a jug or punch bowl. Add a handful or two of ice and stir until mixed and cooled. To serve, pour into glasses filled with ice.